It frequently seems as though Jackson was less interested in making The Hobbit than in remaking his own fabulously successful Lord of the Rings series. My first thought in watching The Hobbit was: Do we really need this movie? It was my last thought, too. To its own narrative detriment, "The Hobbit" works hard to lay the framework for what will follow. Certainly that's one way to set out on a trilogy, but it's surely not the best. There's no denying the majesty in Peter Jackson's visuals but he's taken a relatively slim children's book and stretched it beyond the limits. The repeated iterations of fight, flight and respite here get wearing. Especially perhaps because, with Jackson's fetish for detail, they take more time to watch on screen than to read about. "The Hobbit: An Unexpected Journey" has finally arrived, not on wings of gossamer fancy but with a hairy-footed thud. When the dwarves turn up mob-handed, kicking off a night of boisterous revelry, the laboured jests and jollity seem to go on forever. And the combination of dwarves, forced humour and familiar faces off the telly turn the occasion into bad panto. The Hobbit: An Unexpected Journey had me with the dulcet melancholy of displaced Dwarves, yearning to be home. Slower out of the gates than a three-legged donkey... but it gets better, and fans won't mind this slowburn beginning because, hey, it's Middle Earth. It's the behaviour of the supposedly affable dwarves that makes this particular 'adventure' such a punishing experience. ...a jaw-dropping visual carnival courtesy of Peter Jackson and company! Very, very (very) slow in the early going, but Peter Jackson does get there (eventually). The Hobbit: An Unexpected Journey is a story stretched too thin; dragged out by drudging slowness and obvious padding that its handful of thrilling action sequences can't improve. Should more than satisfactorily scratch the itch of those who have waited many long years to see Middle Earth back on screen. A marvel of filmmaking wizardry and engrossing adventure storytelling, The Hobbit: An Unexpected Journey marks another triumph by director Peter Jackson who once again takes J.R. Tolkien's words and brings them to life with skilful, passionate expertise. THE Hobbit occupies that same awkward spot in popular cinema as the Twilight movies in terms of balancing good cinema against fan-service. Here's hoping Jackson's love affair with technology shifts back to his real strength-good old-fashioned storytelling-and that he has the courage to edit down the film. "Disappointing" isn't the same thing as "bad." There is simply not enough story to justify the inordinate length...the enormous production effort is negated by [the] disastrous decision to shoot at 48 frames per second...This makes the entire enterprise look like the world's most expensive home video. 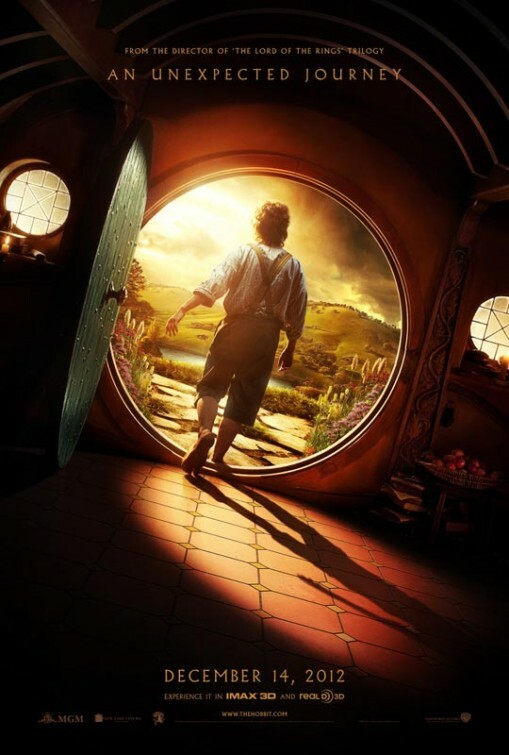 Lacking the interesting characters and intriguing subplots that made the earlier trilogy so engaging, The Hobbit: An Unexpected Journey is too flat, too slow. A vibrant vision but a long slog. Like the sad, bug-eyed Gollum, moviegoers may not have realized how much they missed movies like this onscreen in the past several years. The absolute highlight: the return of Andy Serkis, master of motion-capture performance, as the scary, disturbing, pathetic Gollum. A wild and visually stunning quest through a fantasy world all done with the noble spirit of courage and goodwill.